It's hard to imagine what a person has to do to get banished from a Walmart. This is the store where it's not unusual to see someone walking around wearing blankets and Snuggies — with nothing on underneath.. 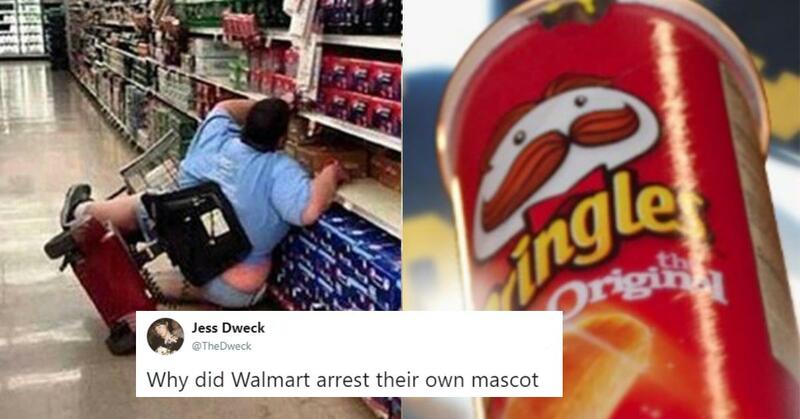 But this woman found out that, while Walmart has no problem with people walking around their stores rocking shirts like this, sipping wine from an emptied-out Pringles can at 6:30 am is apparently not kosher in their book. So not kosher, they notified the police of her activity. The cops found the offense serious enough to track her down. They found the woman at a restaurant not far from the retail superstore and informed her she's no longer welcome in that particular branch of the Late Sam Walton's legacy. I don't know how Walmart bans work, but I'd like to think there's now a photo of this woman hanging in every single location around the world. The powers that be at Walmart may have had a problem with the woman because she was drinking alcohol while operating one of their electric carts, but I'd like to think they were just jealous that they didn't think of concealing their alcoholic beverages with the same ingenuity. Once the internet caught wind of this woman's visionary boozing-while-shopping hack, they applauded her efforts. 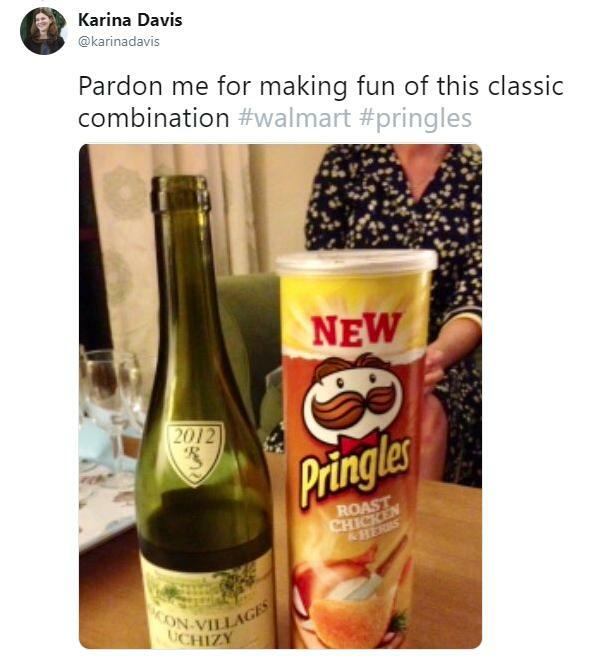 People even came up with their own wine and Pringles pairings, and tons of people weighed in on the conversation, including celebrities who really didn't understand what the big deal was. 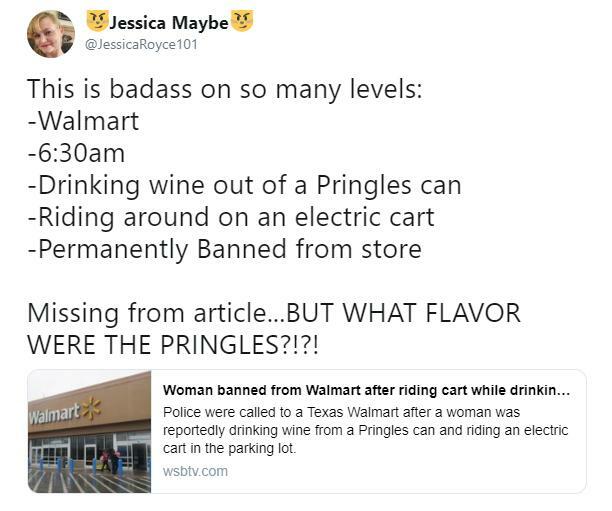 The woman should've been allowed to sip wine from an empty chips container while shopping at Walmart, dagnammit! This is America. 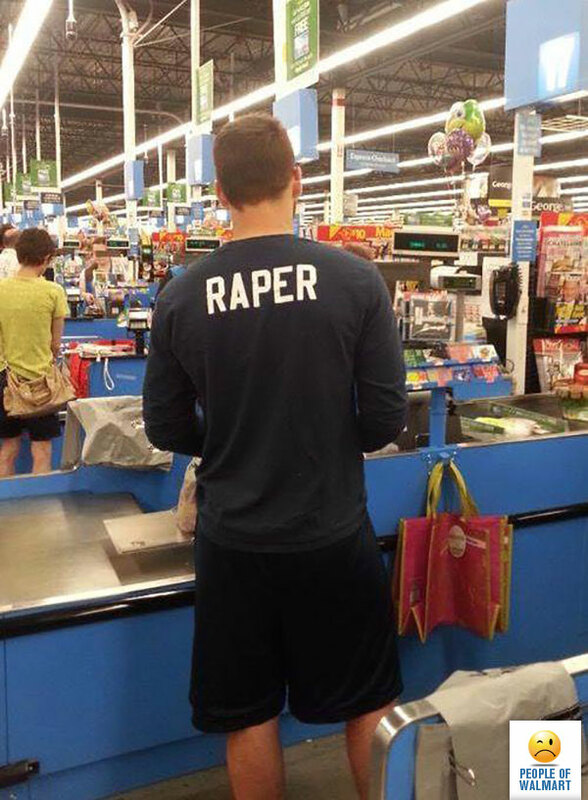 If I'm being entirely serious about this: would anyone even want to shop at Walmart while sober anyway? The store is a huge maze, no two stores have the same layout, and the employees are paid so little that it's hard to fault them for not knowing or caring where anything is in the first place. 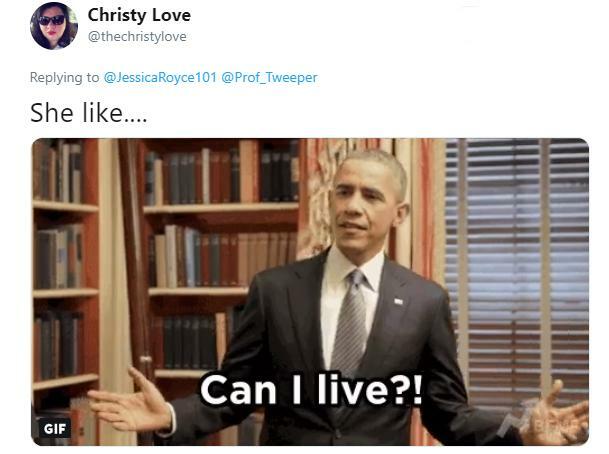 Honestly, Jess, I was wondering the same exact thing. They should give that woman a $25 gift card if anything.